The faces of jazz musicians Sánta István Csaba hears, sees and snaps are indelibly expressive — like the memorable phrases, inspired improvisations and magical connections these players play, so meaningful to listeners in the moment, remembered or recorded. 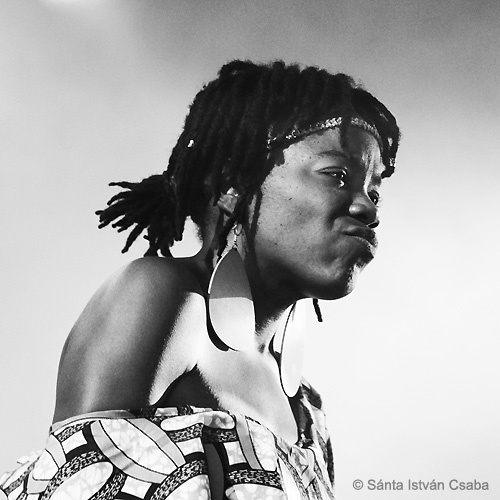 JazzTimes magazine has published some of Sánta’s images from the Northsea Jazz Festival in early July — here are more, not included in that publication. Northsea, held in the Hague, is a multi-stage, non-stop, international showcase of bands on tour now. Having worked with him elsewhere, I can imagine Sánta not pushing but simply slipping through the crowds to get his closeups that serve as both portraits and candids, typically from an unimpeded perspective. Many music photographers complain about the microphones, cables and other on-stage detritus that detracts from the heart of the matter. Somehow, Sánta sneaks around that stuff or makes it disappear. I’ve included his photos on this blog previously, and will again, as he has assigned himself an urgent quest to document his heroes, frequently traveling substantial distances on a nickel (not a dime), getting very close after coming very far. Just looking at the individuals Sánta portrays, one can get a sense of their sounds. 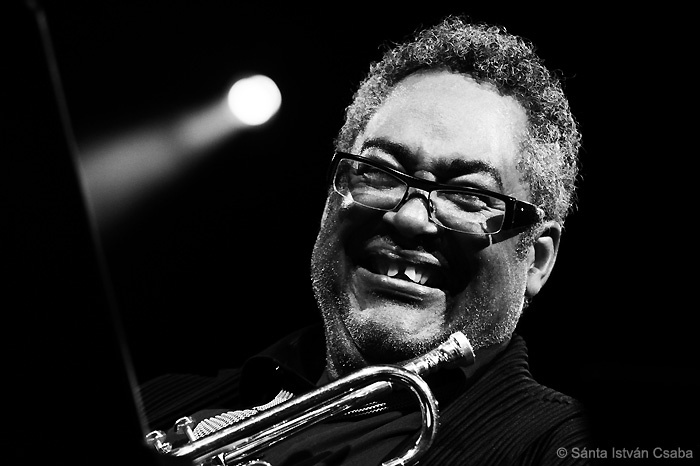 Is Jon Faddis a joyous player? Absolutely — in the tradition of Louis Armstrong and Dizzy Gillespie. I haven’t heard Malika Tirolien but know from the set of her lips that her voice and delivery have an edge. Trumpeter Ambrose Akinmusire’s music, in my experience, has been, like his gaze, thoughtful and penetrating; as the photo shows, he’s youthful but has depths, too. 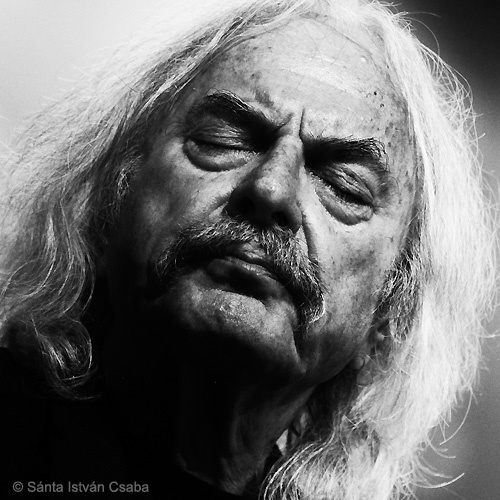 As for Italian trumpeter Enrico Rava, whose visage conveys age, yes, and perhaps experience: Even with his eyes closed and focus so clearly on what’s happening in his mind, we get that he’s not contemplating anything banal, instead absorbing information and perhaps transforming it into comprehension that’s profound. I’ve always wondered how my photographer friends and colleagues take in the music while they are engaging their visual skills. When I’m listening with the intent of writing, I usually take notes, but they are reckless scribblings, not polished or thought-through — I get to do that later.Revision, it’s become ever clearer to me, offers great opportunity. Photographers have no such grace period. They must capture their impression simultaneously with the gesture, laugh, grimace, asserted concentration or perhaps, yes, sound that inspires it. That’s why jazz photography — the documentation of a moment that could not be foreseen and will never come again — can be so great. Thanks to those including but not limited to Sánta, Dee Kalea, Lauren Deutsch and Marc PoKempner who keep this rare art alive and vital. Great and insightful post Howard. Jazz photgraphy often catches rare glimpses into the artist’s soul. My visual soul-mate, this Santá-seer!! !